There is a video clip of CBS News’ Bob Schieffer, host of Face the Nation, interviewing senior presidential advisor Dan Pfeiffer. Pfeiffer is ripping through one speaking point after another and the long-time political correspondent will have no more of it. He offers a brief history lesson to his young guest, and politely admonishes him that it would be nice if the administration would lose the speaking points and tell the truth. But speaking points are valid and important tools to use as part of an organizational communications strategy and are a means to earn credibility for your organization when approached the right way. The most important person to deliver them may be you, so here are four thoughts to keep in mind when crafting speaking points. There is obviously a leadership issue at work here. Leaders must take action according to those values organizations have stated are non-negotiables. That means making decisions based on core values. Speaking points are born from leadership decisions. If speaking points and core values don’t match, then it probably reflects a leadership issue and speaking points won’t recover credibility lost by actions that should have been taken. Remember, actions still speak louder than words. If you don’t communicate your organization’s objects, then who will? If you don’t direct others to the most important aspects for which you want your organization to be know, then how will they get there? Speaking points obviously need to answer questions, but they also need to support the overarching objectives of the organization. This is possible even in a crisis situation and possibly more so. Many organizations have strengthened their reputations on the other side of crises because they stuck to their core values and communicated well their larger organizational objectives. I know, this seems obvious but it apparently proved elusive for leaders and organizations who now find themselves on the scrap heap of integrity. How many Enrons, Worldcoms, Watergates, bicycle doping scandals, baseball steroid scandals, blah, blah ad nauseam do we have to endure before “spokesliars” stop assaulting our intellects with deceptive speaking points? The answer, unfortunately is never. However, here’s the deal: if you mess up; fess up. People are much more forgiving if you tell the truth than if you use canned responses to create an illusion that is later exposed. Don’t be a liar and an idiot. People want accurate information and especially when there is a crisis. 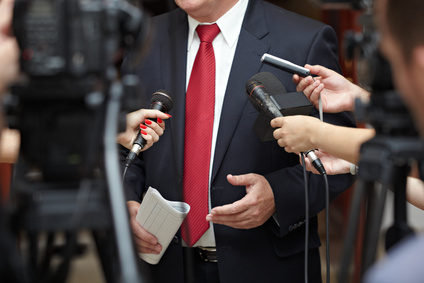 Spokespeople should see their roles as opportunities to help customers, clients, potential clients, constituents, etc. grow in their understanding of the organization. Speaking points rooted in decisions guided by core values create a positive view of your organization. They provide leadership and direction and communicate confidence. This doesn’t mean your interview should become a confessional. All organizations have proprietary knowledge and legal and personnel matters to navigate so speaking points can’t – and shouldn’t – be tell-alls. Be informative, be truthful and be discreet. It is possible to accomplish all three. Interviews are opportunities to advance your organization’s brand. Prepared speaking points are a legitimate way to ensure your organization is well represented while helping interviewers get the information they need to report accurately. I write...a lot, and use social and traditional media strategies to help people and organizations communicate better. Over Managed and Under Led? Is Your Marketing Strategy Content Chum? © 2019 D. Chris Turner Communications. All rights reserved.